This fall, on October 26th and 27th, Nightmare Festival will be celebrating its 6th year at Camp Ramblewood in Darlington, MD. 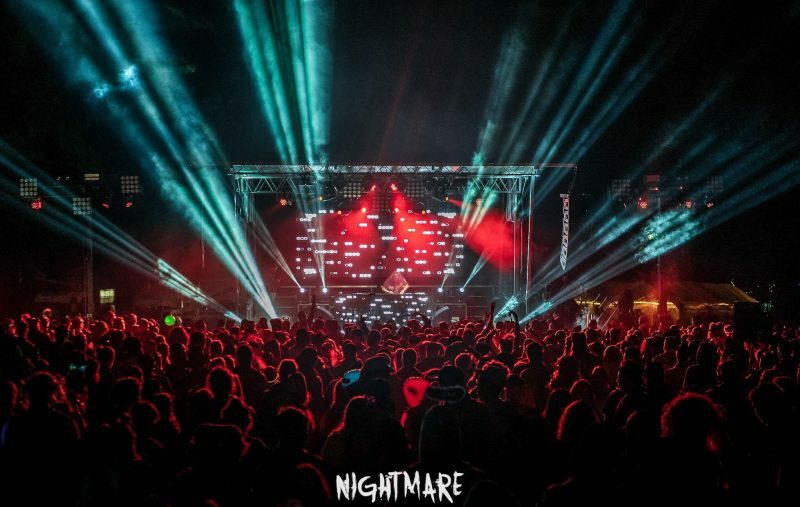 Nightmare festival is the only weekend-long fall EDM festival in the northeast and it ranks as one of the top Halloween festivals in the nation. The festival has grown spectacularly since it first came to Camp Ramblewood in 2013. It has been such a hit that the festival had to expand its footprint last year with an all new main stage area with larger production elements. Past lineups have included superstar EDM and dubstep acts like Brillz, Getter, Liquid Stranger, Tritonal, Keys N Krates, Kayzo, Bear Grillz and Claude VonStroke. There is always a high level of anticipation as patrons await the full lineup release which typically takes place closer to September. However, Nightmare Festival is about much more than its lineup, and is also known for it’s massive laser show, haunted exhibits, and sideshow performances.